Born in Fond Du Lac, Wisconsin on Pentecost Day 1924, Father Eusebius Stephanou was the son, grandson and great grandson of priests. He was a Theologian as well as an Archimandrite of the Greek Orthodox Church. In addition to holding a number of pastorates, Father Eusebius became professor and sub-dean for 6 years at the Holy Cross Seminary and later taught as associate professor at Notre Dame. 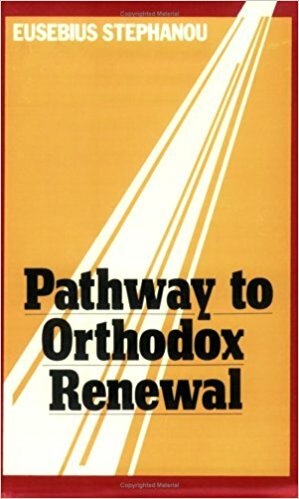 In 1968 he began the Logos Ministry, ( Later to be called St. Symeon’s Ministry ) and published The Logos Newsletter, ( Later to be renamed The Orthodox Evangelist ). His calling to the Lord had taken him on missionary trips throughout the world, speaking and ministering in several countries as well as having his own television outreach program. He fell asleep in the Lord just shy of his 92nd Birthday on May 23rd, 2016. The life-changing effect he had on people’s lives and spiritual impact on the Church is truly epic. We stand committed to continuing this Ministry into the future and will promote all of the rich and abundant writings and audio messages he had left behind. Everlasting be his memory! Throughout the year, we write periodical newsletters to update our members of new events and news. The Newsletter page has the latest and all previous newsletters that you can easily access, print or download. 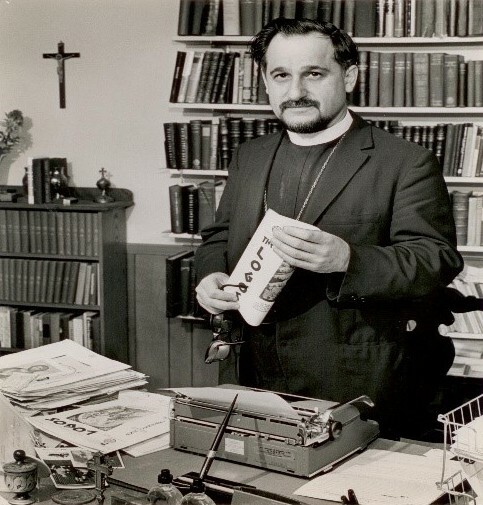 Father Stephanou had written over a dozen books and over 50 booklets. To find out more information about Father Eusebias Stephanou from Wikapedia, Click the link Below.